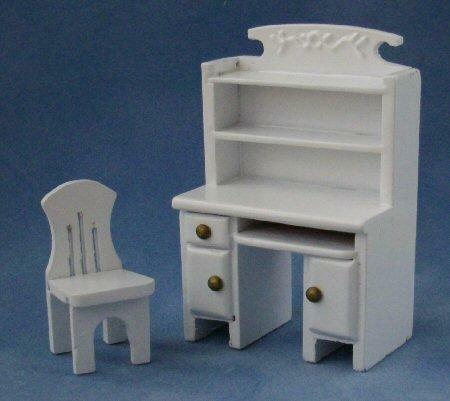 1/24th scale white tall computer desk and chair. Door and drawersdo not open. Desk is 67mm tall x 43mm wide x 26mm deep.